The North Carolina Mountains comprise one of the most botanically diverse regions in the world, with more than 2,500 species of flowering plants, from the rare pink shell azaelea to the lovely fringed phacelia. But how do you find the one you’re looking for? When does it bloom, where can you see it, and how do you get there? 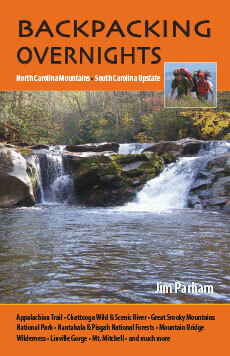 All these questions and more are answered in Jim Parham’s Wildflower Walks and Hikes: North Carolina Mountains. 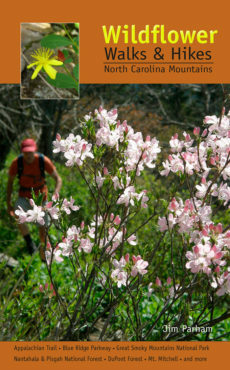 Written especially for hikers and created with portability in mind, this guide recommends 59 wildflower walks and hikes with photos, directions, maps, and GPS coordinates. 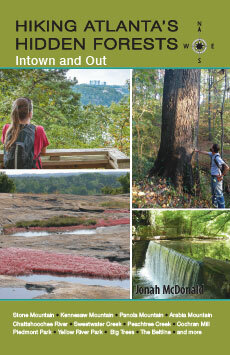 Reference sections describe 13 forest types (for help finding where specific wildflowers flourish), bloom schedules are listed by season, and over 300 color photos of wildflower specimens assist with positive identification. 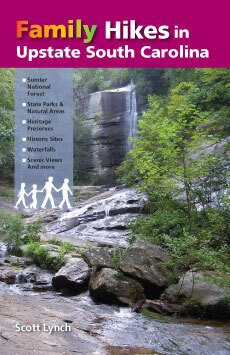 Destinations include Great Smoky Mountains National Park, the Blue Ridge Parkway, the Appalachian Trail, Nantahala & Pisgah National Forests, DuPont State Forest, and other public lands in the region. Botanical gardens with rare native plants are also listed, along with hikes that include waterfalls as well as wildflowers. 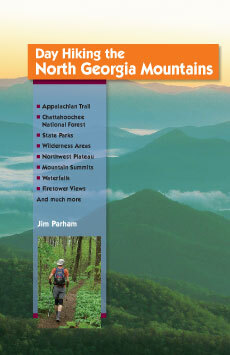 Guidebooks by Jim Parham include: Waterfall Hikes of North Georgia; Day Hiking the North Georgia Mountains; Backpacking Overnights: NC Mountains & SC Upstate; Road Bike North Georgia; Road Bike the Smokies; Natural Adventures in North Georgia; Hiking & Mountain Biking Pisgah Forest; Mountain Bike Trails: N GA Mountains, SE Tennessee; and Mountain Bike Trails: NC Mountains, SC Upstate.